Roe Processing - Traust Know How ltd. Extracting roe - harvesting hidden value from your product. We offer you comprehensive solutions in design of pelagic plants, unloading systems for vessels, vacuum pumps, grading systems, storing tanks, filleting, packing, freezing, palletising and storing in freezing vaults. Roe are highly valuable products. Extraction and cleaning make this excellent product valuable for human consumption as well as offering appeal for usage in other food production applications. 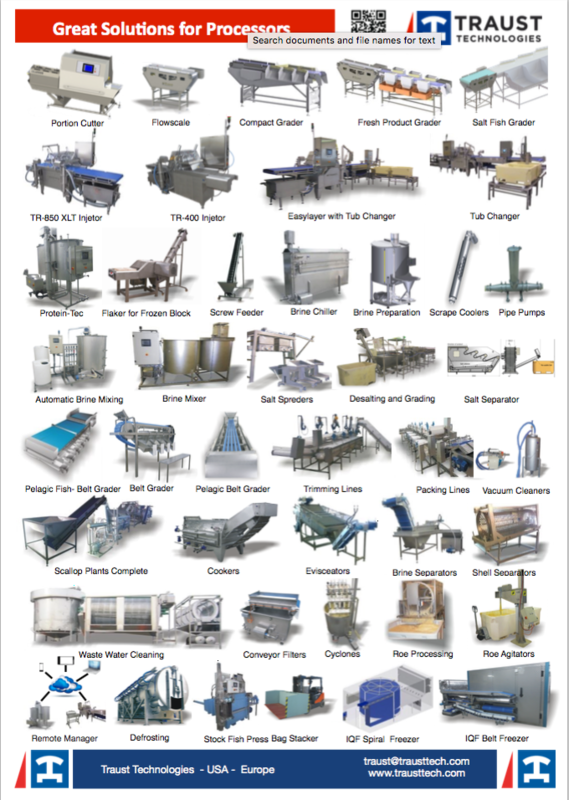 Roe extraction is a complex process and there are many steps to go through. Our 30 years of experience and development is reflected in our patented machinery and methods. The roe, milt and the belly strip are collected from the filleting machines and fed into a special cleaning device where the roe is separated from the mix. In the cleaning process purpose designed holding tanks are used. We use filters, washing and twirling cyclones to separate and clean the roe from the mass. Gentle handling and a smooth cleaning process are vital to delivering the highest quality product. Recycling of washing water recovers the finest roe and secures the highest possible yield. 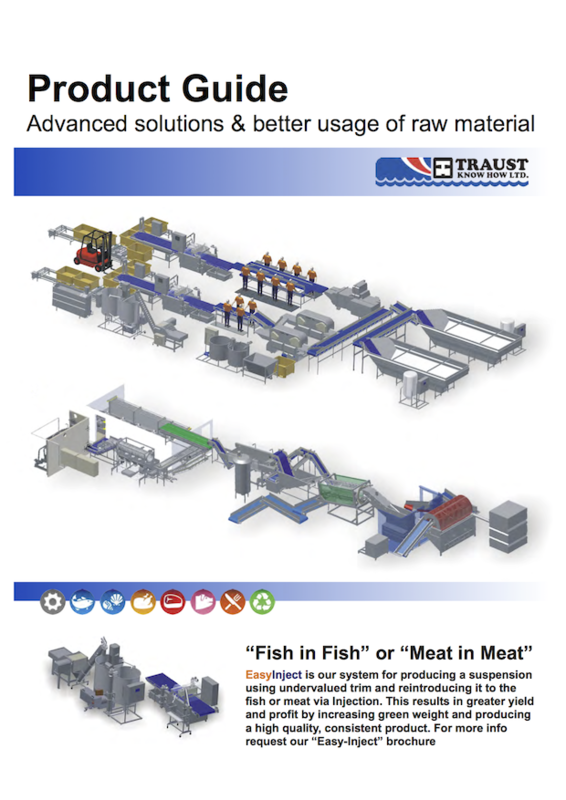 Traust have worked with capelin roe since 1973 and supplied equipment for extracting capelin roe to all the producers in Iceland and to very many producers in Norway and other countries the last 30 years. In 2005 we made our first herring roe system to Norway.